How do you maintain your productivity during routine system maintenance? Simple. 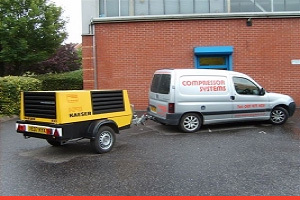 We can provide you with a portable air compressor unit for the duration of the time we spend with you. The unit is rated at 150 cfm with a maximum working pressure of 10 Bar. And what if your existing equipment breaks down? We’ve also got you covered. 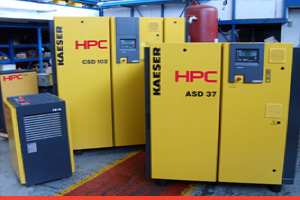 Our extensive fleet of static electric compressors and dryers are available for hire on a 24-hour basis. There are also options for longer-term contract hire and hire purchase.